Going back to the 3nd and 3rd centuries AD, these still puzzle archeologists. 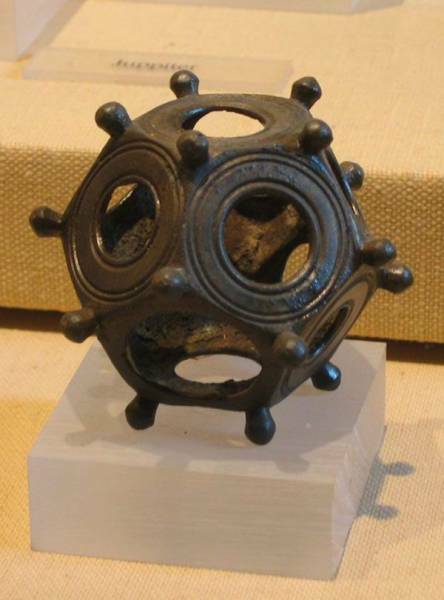 They range between 3cm to 10cm, and it’s in the shape of a pentagon, with large holes and knobs on each point. Found all over Europe, there are many theories over what these are – whether they’re a measuring device, or something religious. In any case, based on where they were found within the ruins of Roman homes, they were extremely valuable and treasured. 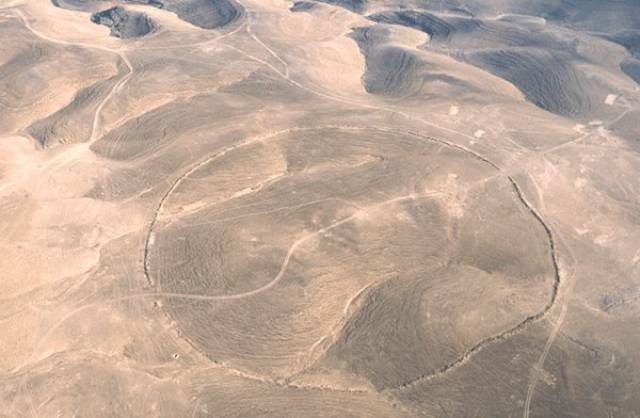 There have been 8 mysteriously large circles found across Jordan and Syria. Only visible with satellite imagery, they range from 720ft to 1,490ft wide, and there’s no visible reason for them. Archeologists are still looking to excavate to discover more details about them, but the materials found around the sites, suggest these date back to the early Bronze age up to the Roman period. 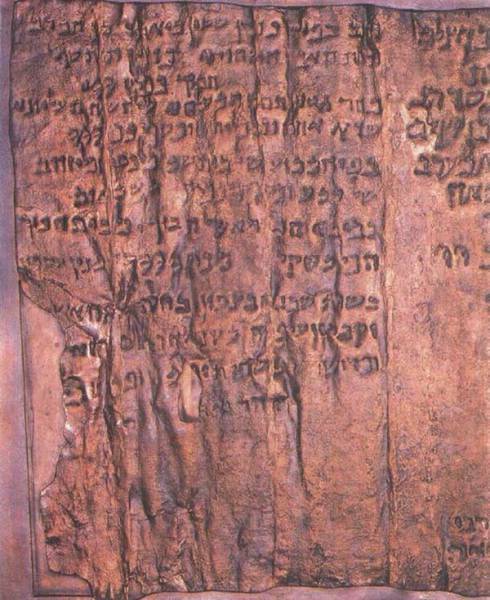 A part of the Dead Sea Scrolls, this Copper Scroll was found in 1952. What makes it a mindf*ck is that it’s so unlike the rest of the scrolls. Instead of being a list, a fragment of the Bible or historical documents, it’s a treasure map. No one knows, however, where to start searching. Found on Easter Island in the 19th century, The Rongorongo Writing is a series of tablets with strange glyphs on it. So far, no one’s deciphered the glyphs, but it’s believed that these tablets explain the disappearance of the ancient civilizations that once lived on the island and left the heads. 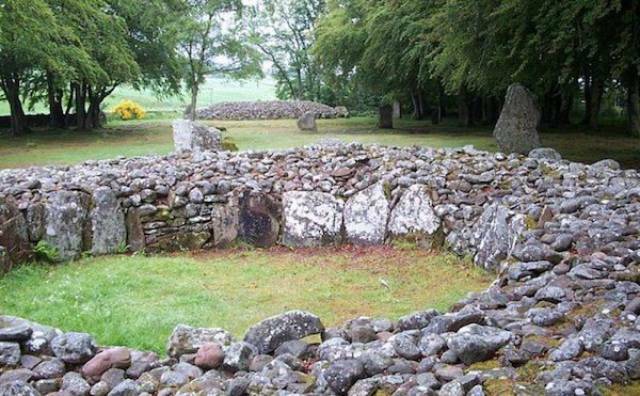 Found in Scotland and dating back to 4,000 years ago, what makes this site unusual are the unexplained formations of standing stones. It’s a puzzle for researchers how the people of the era could move all the large stones into place. While no one is sure what the site was used for, the theories range from a burial site, to a tool to map the solstice, to even aliens. Located in Salem, New Hampshire, most archeologists and historians refer to this place as ‘America’s Stonehenge,’ as it’s a series of stone structures and caves. Originally, the site was owned by a rich family, and was virtually ignored until the 1940’s, when William Goodwin bought the land. Then he opened it up to investigation and it’s been theorized that it’s over 2,000 years old, with theories running rampant. 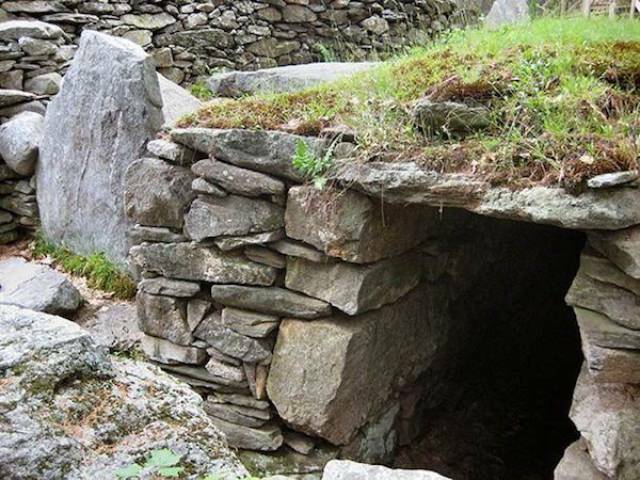 Some suggest it was Irish monks fleeing the Vikings, who build the series of shelters, but there’s no definitive proof. This is the one that fascinates me the most. The Shroud is a 14-foot long cloth with the impression of a man who’d endured horrible pain by crucifixion. 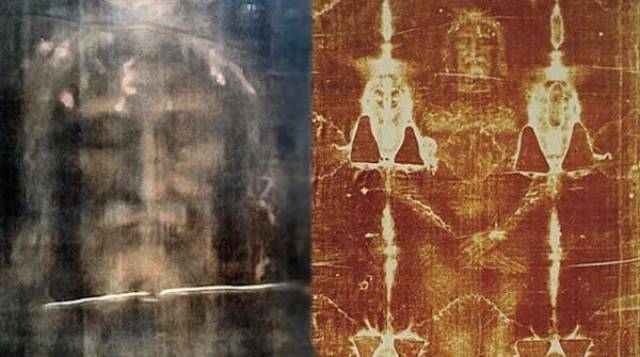 The origins of the shroud are murky, but it’s generally believed that the image on the Shroud is of Jesus Christ. This theory hasn’t been formally accepted by the church, nor has it been debunked. There have been tests conducted on the cloth and while it dates back to the Middle Ages, others claim that the energy required for a man to come back from the dead, would alter the shroud to the point that radiocarbon dating would be misled. Other factors, such as the bloodstains, the pollen found in the weave, and the positioning of the injuries, have been subject to debate. 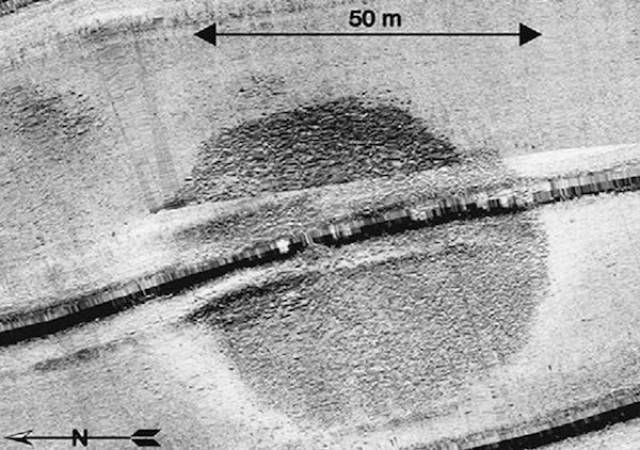 Located in the Sea of Galilee and found by sonar imaging, is this tall structure of stones. There’s no extensive image of the actual cairn, but it’s a pyramid of rocks that’s roughly 165 feet across. Scientists aren’t sure of the date of construction, but given that large schools of Tilapia swim around it, they’ve theorized that it’s an ancient fishery, or some sort of tribute to the deities of fishing. 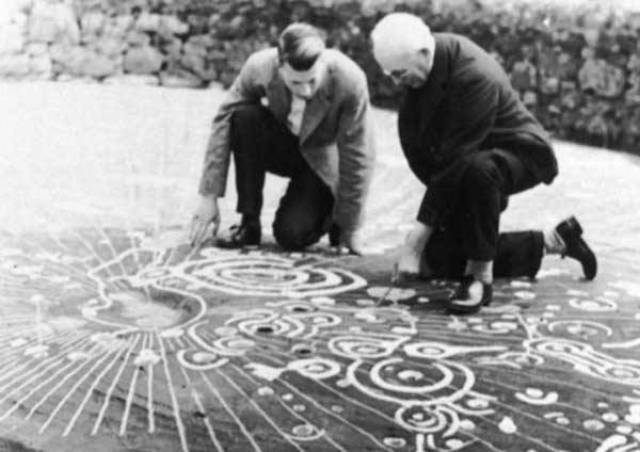 Archeologists in Scotland excavated this 5,000 year old stone slab, covered in swirls and geometric patterns. Measuring 43 feet by 26 feet, these same decorations have been found in countless prehistoric locations all over the world. Except no one knows what they mean and who put them there. Even sadder, is that the stone was photographed and reburied to protect it from vandals. The exact location is not known to the public. 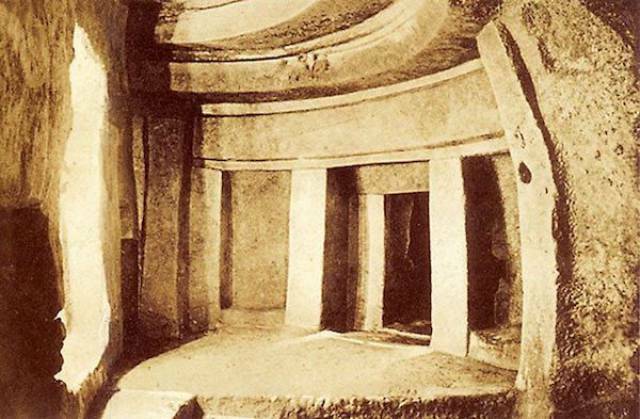 The Hypogeum Hal Saflieni temple in Malta is a prehistoric temple, dating back to 5,000 years ago. It’s also one of the largest underground temples from the Bronze Age. To date, no one knows what the temple was used for, but it’s assumed it was a sanctuary for an oracle or a necropolis. So far, they’ve found over 7,000 bodies interred down there. Even more mysteriously creepy, are the acoustic properties of the temple. It’s built like a giant bell, so sounds are amplified throughout the entire structure. 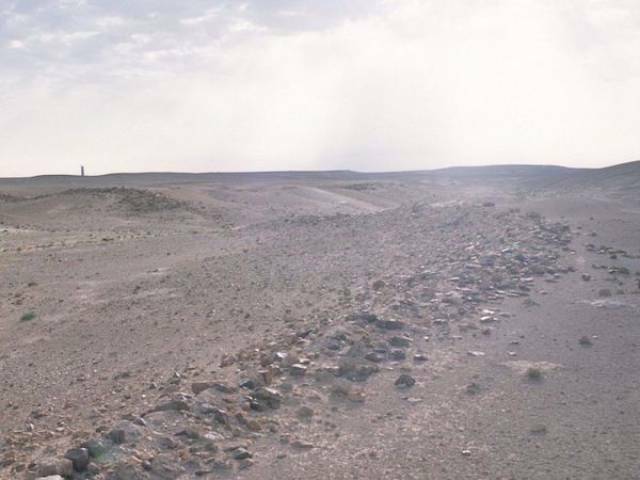 Discovered in 1948 by Sir Alec Kirkbride, this is an ancient wall that stretches for 93 miles in Jordan. A lot of the wall is gone, but you can see the foundations of the wall stretching across the dessert. The wall leave a lot of unanswered questions for researchers, who are curious how old it is, and how high it once was. Given the amount of rubble nearby, it couldn’t have been high enough for defence. 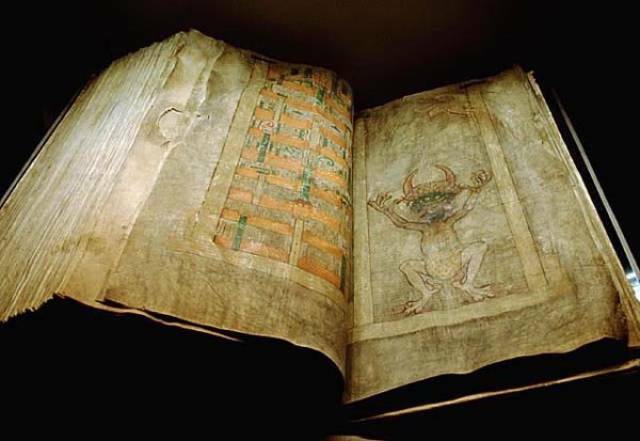 Also known as the Codex Gigas, this is the largest medieval manuscript in the world. The size is so big that it requires two people to lift it, and has both the old and new testaments of the bible, as well as books on the history of the Hebrew people and other histories of the world. What makes this so mysterious is that there’s a giant image of a devil within the book, as well as, the writing is consistent throughout, suggesting that one person wrote it, over a possibly short time. 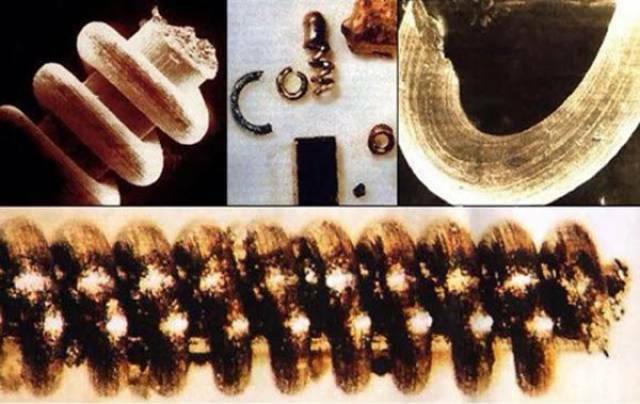 In 1991, several coil shaped artifacts were discovered near the banks of Russia’s Kozhim, Narada and Balbanyu Rivers in the Ural mountains. Shaped like copper coils, they were initially determined to be debris from Russian test rockets, until they were tested. They dated back to 318,000 years ago. Now, no one knows what the hell these copper coils are and how they got there. 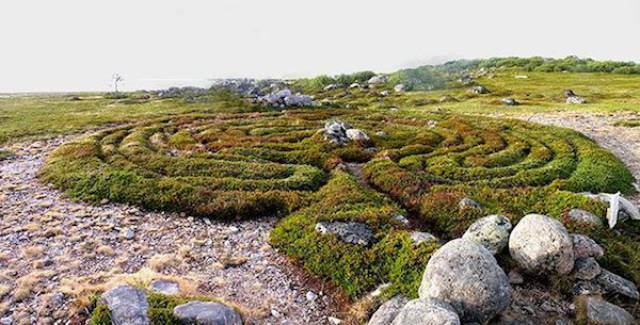 Found on a small island off the coast of Russia, less than one square mile in size, are these labyrinths. Dating back to 30,000 BC, these stone heaps and earthen mounds cover most of the island. No one knows who built them or what the purpose of the labyrinths were. Odds are, it was for a religious or ritualistic ceremony. Stonehenge, archeologists have found a bigger monument that’s buried under the ground. 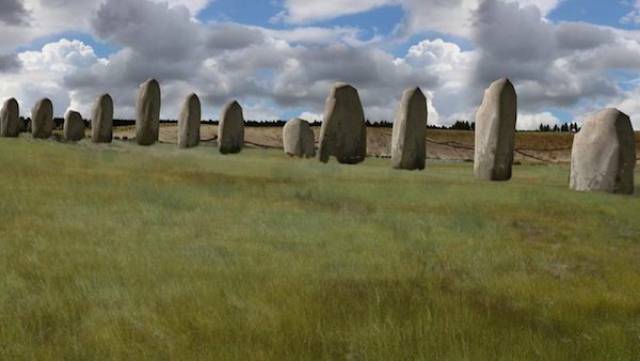 It was found with ground penetrating radar and they’ve called it Superhenge, on account of the 90 massive stones that have been lined up together. Much like Stonehenge, there’s no definitive answer to what it was used for and why it was buried. 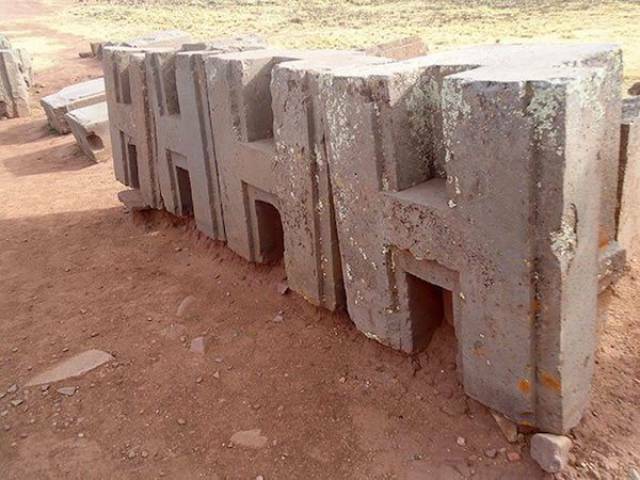 Located in Bolivia, this site is littered with massive stones that have been precisely carved. What’s even more puzzling is the age of the stones. Some scientist say that the stones date back to 500 or 600 AD, other say they date back to 15,000 BC. It’s also unknown who ancient people were able to cut the stones so precisely, that it looks like a diamond cutter was used. Archeologists in Sweden discovered this macabre site, which hosts the remains of 11 men, women, children and infants, over 8,000 years old. 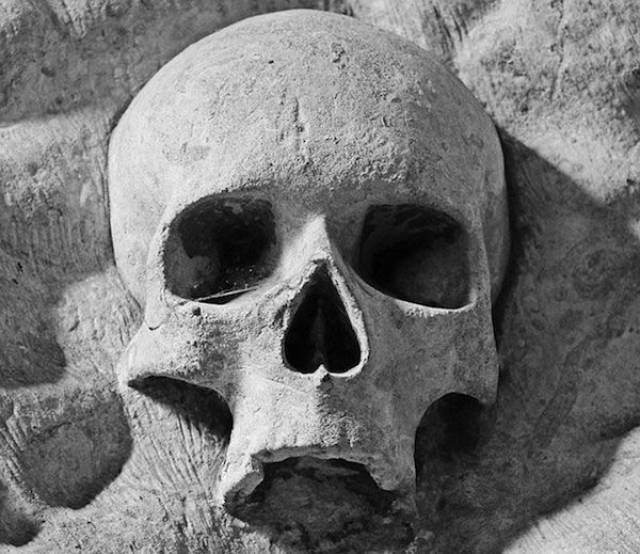 It’s believed that Stone Aged hunter-gatherers mounted skulls on a stake and then buried them as part of a ceremony. Why? No one knows. It’s pretty creepy though.